Grabado durante el diciembre de 2007 y mezclado y masterizado a inicios de 2008 Just Delightin' es el primer disco THE GRAMOPHONE ALLSTARS. 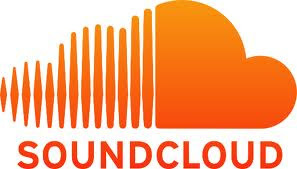 Se trata de 12 temas: cuatro versiones y ocho composiciones propias. Entre estas cuatro versiones encontramos dos covers de dos clásicos del soul: Maxine Brown y Rufus Thomas. En tanto que banda de ska-jazz, no podían faltar dos standards a la jamaicana como son In a Mellow Tone o A Night in Tunisia y temas propios como Taronja , What An Equinox o Vietnam que recrean el estilo en sus diversas posibilidades . Pero en este trabajo también se encuentran otros estilos como el rocksteady instrumental de Round Trip, el reggae de Mumps' Invasión, el roots de Makin' Love With Loneliness o el boogaloo de Gettin' Hot. Finalmente, el disco se completa con un ska al mas puro estilo Skatalites como es A song For Pauleta. 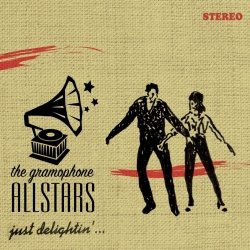 THE GRAMOPHONE ALLSTARS band was born in 2007 in Barcelona and their musical proposal is a mixture of ska music and jazz, but also keeping a close eye on styles like rocksteady, soul and boogaloo. All this musical universe can be found in their concerts. They also use the name of "SIDE B" for the shows in which the band experiments with diferent formats, new arrangements or curious sceneries. Their first album entitled Just Delightin' (Silver Bullets-Brixton Records, 2008) features twelve tracks – eight own penned compositions and four covers – that display the most prominent styles practiced by Jamaican musicians during the sixties: ska, ska-jazz, rocksteady, reggae and a bit of soul and latin stuff. Although we are talking about a very young band, their members have long experience in the Jamaican music scene of Catalonia as well as playing other music styles such as jazz, fusion, rock, pop and funk.